There’s just no better tool than a gas chainsaw for doing the hard work. It won’t only save you a lot of time, but also save you a lot of money in a long run. 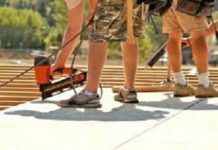 That’s why, in this post, you are able to find the best gas chainsaw that will meet your needs and expectations. The good thing about gas chainsaws is how long they can last, with a proper maintenance, of course. It’s a tool we couldn’t imagine 21st century without. Cutting trees down and turning them into firewood would take ages to do. Remington is a well-known brand in the world of gas chainsaws, and it’s most likely that you’ve already come across their chainsaws. Remington RM118R Rodeo is a gas chainsaw which is ideal for limbing, cutting firewood, or even cleaning up the trees after the storm. It’s a gas chainsaw you would definitely want to have around. Even if you aren’t doing much of woodwork. It’s useful to have it on the side. It features a 2-cycle engine which has 18-inch kickback bar. The chain will make sure that every start of the Remington Rodeo gas chainsaw is reliable. It will start in all possible conditions and will never leave you disappointed. QuickStart technology makes pulling start even easier than it was ever before. Both front and back handles are comfortable for operation thanks to the anti-vibration feature. The cast is made from a durable die-cast material and from a professional grade crankset and sprocket. With the Remington RM118R Rodeo gas chainsaw, you will also get a heavy-duty case, bar, and chain oil. There is no cutting task that could be too tough for the rodeo gas chainsaw. Therefore, this chainsaw is the best gas powered chainsaw. In my opinion, it’s the best gas chainsaw on the market, especially considering its price and value it offers. If you’re looking for the best gas chain for the money, you’re looking right at it. 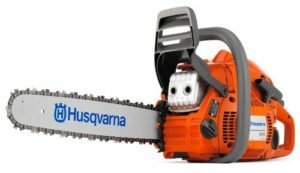 Husqvarna 445 is a gas-powered chainsaw which isn’t the best option for the price, but also it’s one of the lightest chainsaws out there. Its lightweight construction only weighs 10.8 pounds. It features 47.7 cc, 2.8 hp engine which is equipped with a bunch of useful features. Such as centrifugal air cleaning system that removes the larger dust and debris even before it reaches the air filter. That way, it prevents the air filter from getting damaged and filled up with unnecessary things. By preventing things from going to the air filter, engine life is automatically improved and air filters are almost always clean. However, when you suspect that air filters have got dirty, you can take them out and check their condition with a simple quick release button. Such button will save you time from opening the chainsaw to get to the air filter. On the side of Husqvarna, there is a chain tensioner which reduces the pressure on the chain. Even during the strongest cuts. Tanaka gas chainsaw features a commercial grade engine with 40 cc and 2.4 hp. 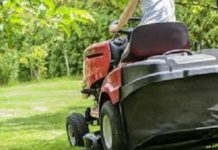 It’s very efficient engine which has a low-emission engine that is suitable for quick cuts. It features 18-inch Oregon bar and a chain, however, you can choose between 16 inches or 20-inch model as well. The difference in price isn’t huge, and I’d recommend you to upgrade to a larger size if you feel like it’s necessary to meet your needs. There is an S-start which is patented to reduce the amount of pull force during the starting. Therefore, this useful feature will help you start the Tanaka gas chainsaw with 50% less force. Whenever you need to adjust your chain, there is a side access to the chain which will make your job quick and easy. There is a chain tensioner provided that will let you adjust the chain in no time, and keep going. It’s also worth to mention that the complete Tanaka gas chainsaw is CARB compliant. The bar and chain are set for increased efficiency and reduced kickback. It will give you more control over this gas chainsaw. At the same time, Tanaka gas chainsaw is very compact and easily portable. It’s designed for the best performance, but at the same time, for the best comfort. 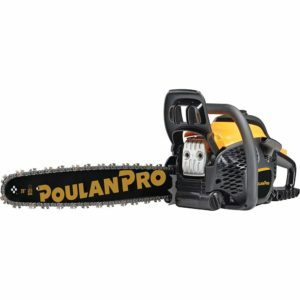 Poulan Pro gas powered chainsaw is a 20-inch chainsaw that has the 50cc, 2 stroke engine. The engine of Poulan Pro chainsaw features OxyPower technology which gets the engine extra power to virtually handle any task. It doesn’t only allow you to have a more powerful engine, but also to have 70% less emission and save 20% on fuel consumption. There is also effortless starting featured which will reduce the pull force by 30%. It makes the starting really simple and easy, without any force necessary. That will prevent you from doing any tear and wear to the system and engine. Poulan Pro chainsaw even features combi tool that is integrated into the back handle, so it’s accessible anytime you need it. Purge bulb that provides the fuel to the carburetor makes this chainsaw easier to start. All it takes are only a few pulls. Therefore, no risk or damage is involved in the starting process. Whenever you want to take more control over this gas chainsaw, you have the friendly accessible choke/stop combination. It will allow you greater reliability, and also reduce the risk of engine flooding. 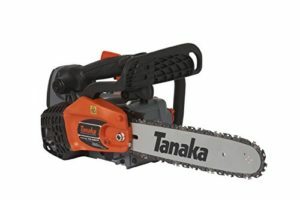 If you’re in a need for a smaller gas chainsaw, 14-inch Tanaka is one of the top choices available. This is another gas chainsaw from Tanaka, but only a little bit smaller. It’s a 14-inch top handle chainsaw which still has a lot of power. It consists of 32.2 cc engine which is a commercial grade. It’s a pure engine that will provide you a lot of power, clean cuts, and powerful performance, with less fuel consumption than any other gas chainsaw on the market. Especially in the price range. When you don’t need the full power, there is a half throttle choke available to set the engine output power. It also features purge primer bulb for easier starts and easier warming up. Oiler of Tanaka 14-inch gas chainsaw is driven by automatic gear, and it can also provide quick chain adjustment. Sprocket nose of this gas chainsaw provides better control for easier cuts, especially with the Oregon chain that is provided. It’s definitely a best small gas chainsaw on the market. Looking for a top-heavy duty gas chainsaw? Say no more. Meditool is a 20-inch gas chainsaw which features as powerful engine as it looks. It features 58 cc, 2 cycle engine which has 20-inch kickback bar to make it more comfortable. 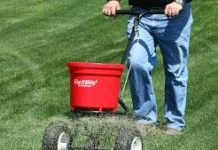 It’s equipped with a QuickStart technology that makes it more reliable and easier to use. Ergonomic handle is paired with a soft cushion that will make this gas chainsaw more balanced, comfortable, and maneuverable to use. You can save more time thanks to such powerful 58 cc engine. It can do all jobs including cutting firewood, cleaning up trees after the storm, and even limbing. It has a special technology just for limbing, that makes it easier and safer to do. There is even a mechanical chain brake handguard that is making the things safer. Whenever the chain gets stuck, you will be able to easily and safely unclog the problem. If 58 cc engine still isn’t good enough for you, Meditool also offers the same gas chainsaw, only with a 62 cc stronger engine. Another great thing is that you will also get a black carrying bag with a purchase. It makes the portability even easier. 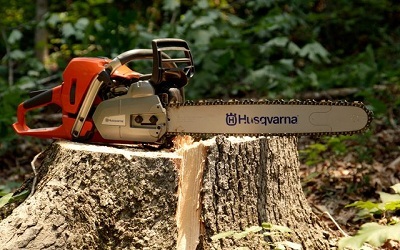 It can definitely be considered as a best gas powered chainsaw, thanks to the powerful engine. It can be a little bit tough to purchase a new gas chainsaw if you don’t know what to look out for exactly. However, you shouldn’t worry about it. 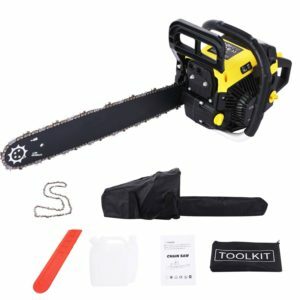 Here, you have the best gas chainsaw list, and now, I will teach you how to choose the right chainsaw for yourself. There are some things you should take into consideration, and we will go through it all. It’s not complicated, once you know what to expect and to look out for. Guide bar length is the first thing you should look out for. Guide bar length is the length from the tip of the chainsaw to the point where it enters the housing. It’s important because the larger the bar length is – the bigger wood logs you will be able to cut. However, with larger bar length – you have a harder kickback, more weight, and harder maneuverability. Ask yourself the question – what type and size of wood will you be cutting through? That will help you decide the guide bar length you need. Engine power usually comes in a few different powers. The stronger the engine of the gas chainsaw is, the bigger kickback it will have, and harder it will be to control. However, with stronger engines, you can cut harder and bigger wood logs for a longer time. Again, it depends on what for will you use your new chainsaw. 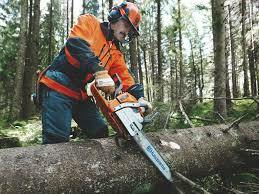 Safety is very important when it comes to gas chainsaws. Almost all gas chainsaws have some sort of safety features. Find the chainsaw that provides as many safety features as possible. But don’t forget to wear safety equipment! Usage is important for more than two reasons. 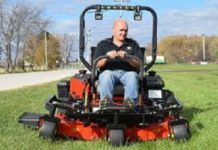 Once you know the purpose of purchasing your new gas chainsaw, the easier it is for your to choose guide bar length, engine power, and other features. Ergonomics and design obviously matter. You want to have the most comfortable chainsaw so you can control it better. Weight depends on your strength. If you’re a fit and strong guy, weight doesn’t matter. If you struggle a little bit, always go with lightweight chainsaws. Maintenance is a big part of the gas chainsaws, and it should be done regularly. Most modern chainsaws have features that allow easier chain and air filter maintenance. In a long run, it can help you save a lot of time. Accessories are always useful. Who doesn’t like to get a free carrying bag for their gas chainsaw? Always get the most out of your new chainsaw if possible. If not, you can always purchase accessories separately. Buying a new chainsaw isn’t supposed to be complicated. 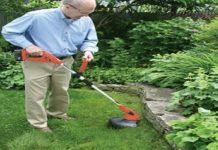 In this review post, I have listed only the best gas chainsaws, which come from different categories. You will definitely be able to find the right one for yourself. If you are unsure how, I have also written a complete guide, letting you know what to pay attention to. What is your favorite gas chainsaw? 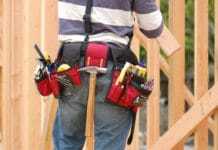 What type of woodwork are you working with?